Diabetes has reached epidemic proportions all around the world and numbers are rising. The best available medication and current dietary recommendations are unable to limit the growth of this disease, never mind reverse it. For those who have diabetes, other health complications are likely to result, reducing their quality of life and potentially leaving them with damaged eyes and kidneys, prone to heart attacks and amputations and in constant pain due to neuropathies – which can eventually lead to depression and premature death. Lifestyle and diet changes are recognised as necessary for diabetes management but none of the mainstream, currently recommended diet changes are truly effective. However, there is a diet that has proved to be effective in reversing diabetes, bringing blood glucose levels under control, inducing weightloss and significantly improving the health of diabetics – yet it has no official recognition and plays no part in the official UK therapeutic approach. It is a vegan, low-fat, low GI diet which works on basic biological principles and has helped a large number of diabetics over the past 30 years because it strikes at the very core of the condition. 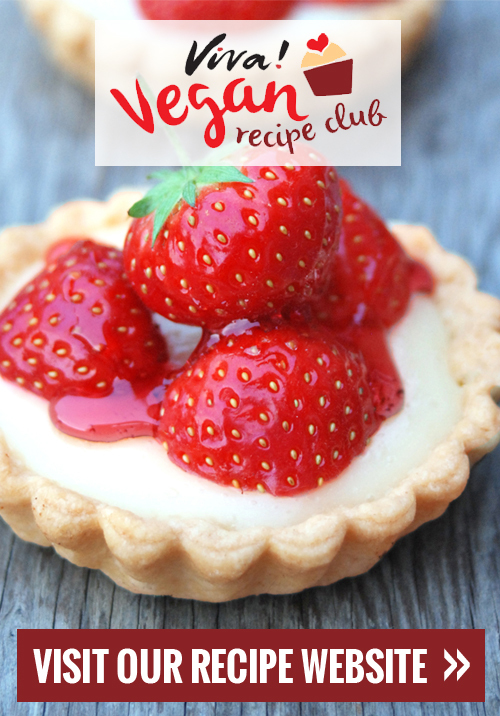 The effectiveness of vegan diets is, however, endorsed by the American Diabetes Association when in its 2010 Clinical Practice Guidelines it stated that plant-based diets have been shown to improve metabolic control in people with diabetes. It is inexplicable that the UK has not endorsed these findings. The effects of this vegan diet exceed the results of both medication and conventional diets combined. For this reason, Viva! Health has introduced its D-Diet, which has no adverse effects of any kind and does not restrict portion sizes. It requires only a change in mindset and the will to learn a new way of eating. If the recommendations of the D-Diet are adhered to, it not only brings blood glucose under control but also helps to prevent or reverse heart disease and other circulatory problems such as raised cholesterol, kidney disease, retinopathy and neuropathy. A number of studies have shown that a vegan diet is effective, well accepted by diabetics who benefit from it in the short as well as the long term. However, the most important effect of this plant-based approach is its potential to save lives. Although genes play an important role in the development of diabetes, lifestyle and environmental factors are even more important as they can determine whether the disease actually develops in the first place. The occurrence of type 1 diabetes is strongly linked to early exposure to cows’ milk together with a very short duration of breastfeeding. Individuals with genetic susceptibility are at high risk of developing diabetes if they ingest cows’ milk proteins in an infant formula when their intestines are not yet fully capable of digesting such food. This risk is thought to be higher if the immune system has been compromised by a viral or another infection. In very small children, milk proteins may be incompletely broken down by gut enzymes, pass through the gut wall into the bloodstream where the immune system then reacts to these foreign molecules. As the structure of some milk protein molecules closely resembles molecules found on the surface of insulin producing ß-cells in the pancreas, the immune system attacks the body’s own cells by mistake. The destruction of ß-cells can be relatively fast but usually takes place over a number of years, eventually resulting in type 1 diabetes after all insulin-producing cells have been depleted. It is therefore highly advisable that children are not exposed to cow’s (or any other non-human) milk, especially at an early age. The story of type 2 diabetes is different. It still relates to the production of insulin by the pancreas, but in this case the body stops responding to it as its cells develop insulin resistance. The main culprit in this case is thought to be fat accumulated within muscle cells which influences cell metabolism. This fat accumulation interferes with the cells’ insulin sensitivity and causes the decline of mitochondria (the cells’ own energy-creating metabolic units). Obese people, particularly those with abdominal obesity (where most fat is accumulated around their waist) are very likely to develop type 2 diabetes but fat accumulation inside cells can affect anyone regardless of their weight. Because the process is long-term, insulin resistance develops gradually and people are sometimes first diagnosed with metabolic syndrome or prediabetes, both of which are reversible conditions. More often than not, they only discover that they have a disease when diabetes has fully developed, by which time they might already be experiencing other diabetic complications. The condition might still be reversible even at this stage but the longer a person lives with diabetes, the more damage is likely to be done to the body. 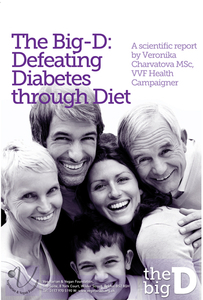 Our D-Diet (vegan, low-fat and low GI) helps those with both type 1 and type 2 diabetes. Although the causes of these two conditions are different, patients with either are likely to suffer very similar problems and complications. Type 1 diabetics will always be insulin dependent but they can avoid a number of related debilitating conditions simply by following the D-Diet that enables their body to cope with carbohydrates gradually, whilst avoiding potentially harmful animal fat and animal protein. Type 2 diabetics can follow a similar approach for reversing both diabetes and its associated complications. One caution! Even though a vegan diet has helped many people to reduce or even eliminate medication, no one should ever make decisions about changes in their medication. This should always be done by their doctor. Viva!Health is no longer alone in recommending a lowfat, wholesome, vegan diet as the most effective means of controlling diabetes – a number of experts are now echoing our words. It requires only an initial effort to learn how to shop, cook and eat to successfully follow the D-Diet’s recommendations. With no side effects, no restrictions on portion size and no hunger pangs, there is every possibility of witnessing an improvement in the condition, an ability to reduce medication and an almost certain healthy weight-loss. To order a paper copy of The Big-D Report, click here. Why do people become diabetic?